When learning English, it’s really important to practice as much as possible – and a great way to do so outside lessons is to go online. We have rounded up our top 5 online resources for learning English, to help you learn whenever and wherever you are. The BBC Learning English YouTube channel is updated multiple times a week, with short, helpful videos on vocabulary, grammar and more besides. The videos are voiced by native English speakers, with transcripts on screen so you can read while you listen. The BBC iPlayer and iPlayer Radio websites are not specific English language resources, but they offer a great opportunity to watch and listen to hundreds of real British TV and radio programs, which will allow you to practice your listening skills (these websites are only accessible in the UK). 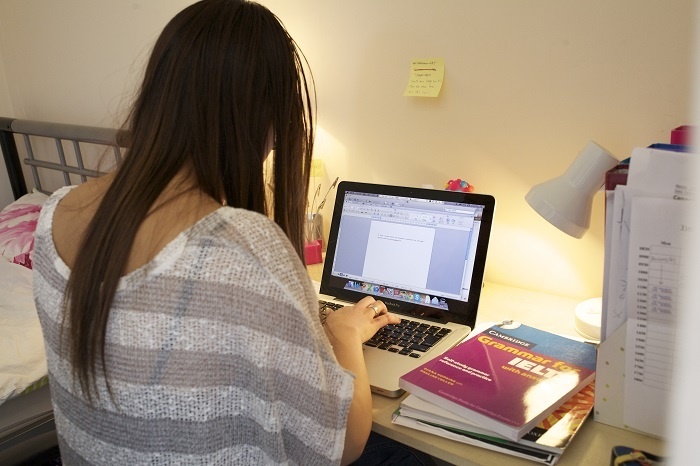 If you are preparing to take the IELTS exam and would like to do some extra practice, the British Council website has some great resources here. You can take free mock listening tests, watch videos on how to prepare for your IELTS interview, and improve your general listening skills with free iTunes material. The All Ears English Podcast is run by three American English teachers. The podcast is phenomenally successful (it has been downloaded over 14 million times!) and is a great way for intermediate English learners to listen to authentic English conversations on varied topics, with an emphasis on American culture and society. 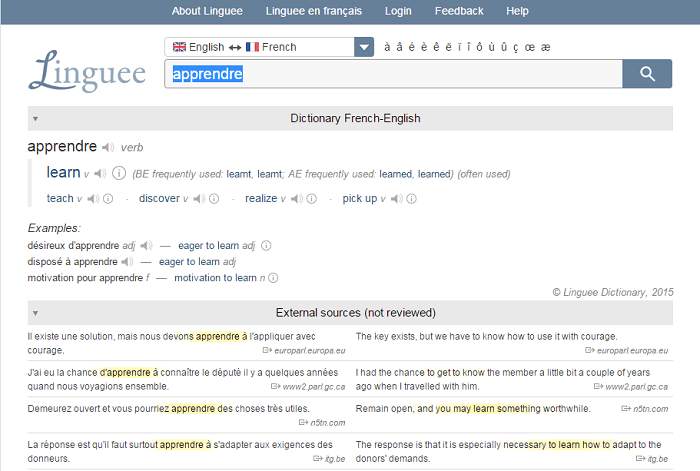 Linguee is a unique translation tool which combines a vast dictionary with billions of authentic texts. This means that when you search for a word, Linguee shows you the translation alongside sentences containing that word, allowing you to see the word in context and better understand how to use it. Leave a comment if you have any online resources to recommend!